Port of Savannah: The Southeast Gateway for the U.S.
After seeing peanuts harvested on the farm, tour attendees traveled to Savannah to tour the Georgia Ports Authority’s Garden City Terminal. The Garden City Terminal is the largest single-terminal in North America and serves 20 percent of the United States population and industry. The facility is 1,200 acres and offers nine container berths comprised of nearly 10,000 ft of contiguous space. 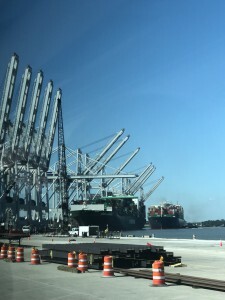 The terminal is also home to 30 container cranes; the largest on the East Coast. According to the American Peanut Council (APC), the U.S. is the third largest peanut producer after China and India, and is the leading peanut exporter with an average annual export of 200,000 to 250,000 metric tons. Canada, Mexico, Europe and Japan account for more than 80 percent of U.S. exports. The largest export markets within Europe are the Netherlands, the United Kingdom, Germany and Spain. 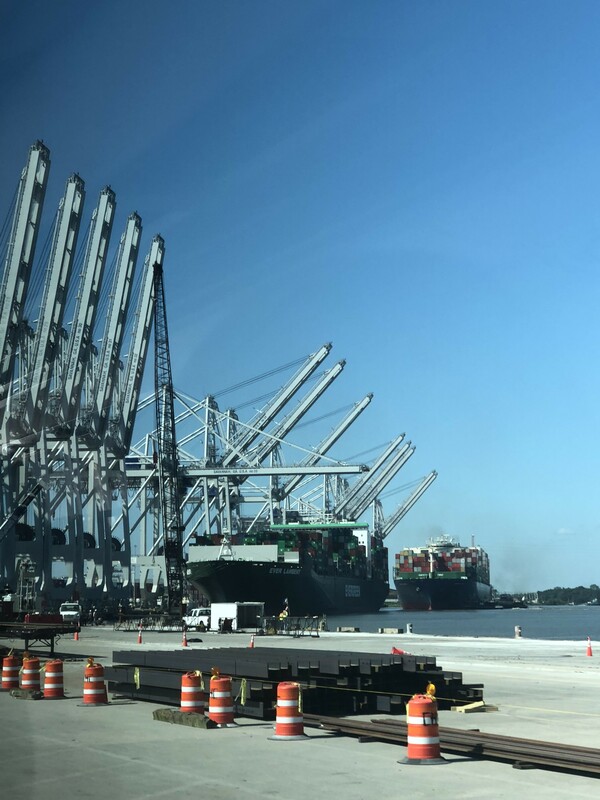 Lee Beckmann, manager for government affairs for GPA, visited with the tour attendees during Hot Topics on Tuesday and gave an overview of current port projects. One key project is the Savannah Harbor Expansion Project. Here, the harbor is being dredged to 47 feet to better accommodate vessels. The vessels being used now are 14,000 TEUs – the largest on the East Coast. Currently the channel depth is 42 ft and the project is 50 percent complete. Another major project in the works is the Mason Mega Rail Project. This will end up being the largest intermodal yard for a terminal in the U.S. Currently, phase one is expected to be completed by September 2019 with the first bundle of tracks operational. Phase two is expected to be completed by September 2020. The Garden City Terminal sees an average of 10,000 truck transactions per day. For single moves, trucks average 33 minutes and for doubles they average 53 minutes. When it comes to the containers they are transporting, the terminal houses 25,000 loaded containers and 35,000 empty containers. 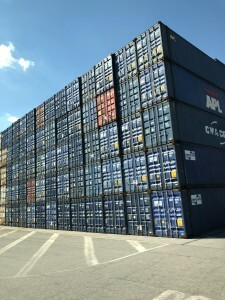 Nearly 55 percent of the containers are for imports and 45 percent of exports. 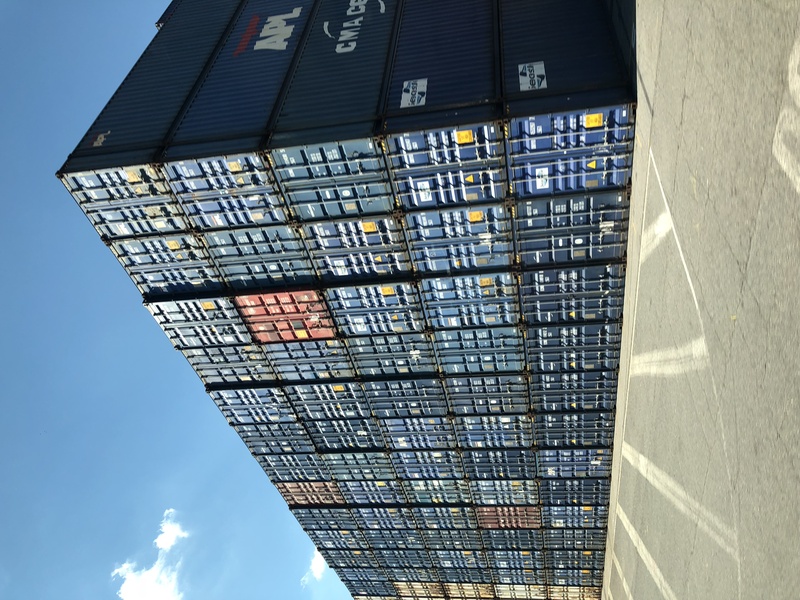 According to GPA, it received its second busiest month on record for containerized trade in July 2018. This was a 12.7 percent increase compared to July 2017. GPA also said rail cargo at the Garden City Terminal increased by 16 percent (60,000 containers) for a total of 435,000 rail lifts between July 2017 and June 2018. This increase in capacity is a driving force behind making Savannah an even more competitive port option on the East Coast.